Performance and mixed media, dimensions variable. Through an invitation to make an exhibition for a space housed in a former watchtower situated on a stretch of no mans land between East and West Berlin, I constructed a composite piece of music which clashed together the romantic sentiments of ‚Wouldn‘t It Be Nice‘ by The Beach Boys and social notions contained within the work of the American composer Frederic Rzewski. 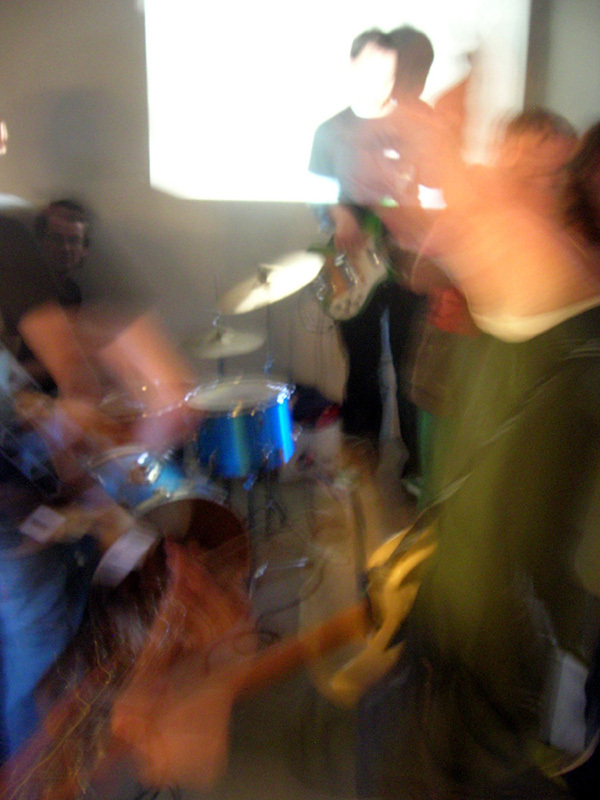 The piece developed into a performance, which lasted for the duration of the opening, involving a rock band playing the famous five bar, twenty-five note intro of ‚Wouldn‘t It Be Nice‘ employing an additive melodic structure device borrowed from Rzewski‘s ‚Le Moutons du Panurge‘ of 1969. 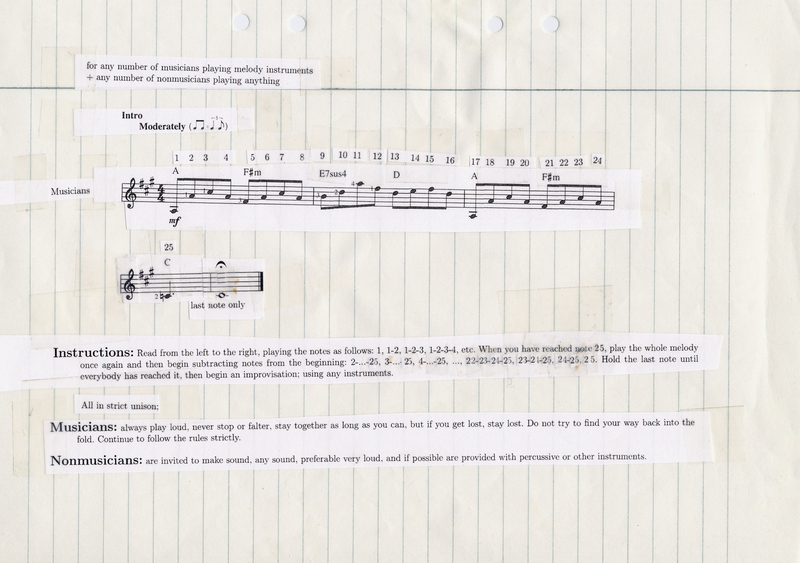 Rzewski‘s piece instructs the musicians to build up the melody note by note as follows: 1, 1-2, 1-2-3, 1-2-3-4, etc. When note 25 is reached the whole melody is played through and piece is then deconstructed thus: 2- …25, 3- …25, 4- …25, …, 24-25, 25. The demanding and difficult to attain result of the genre straddling merge can be said to lean in the direction of experimental post- rock. 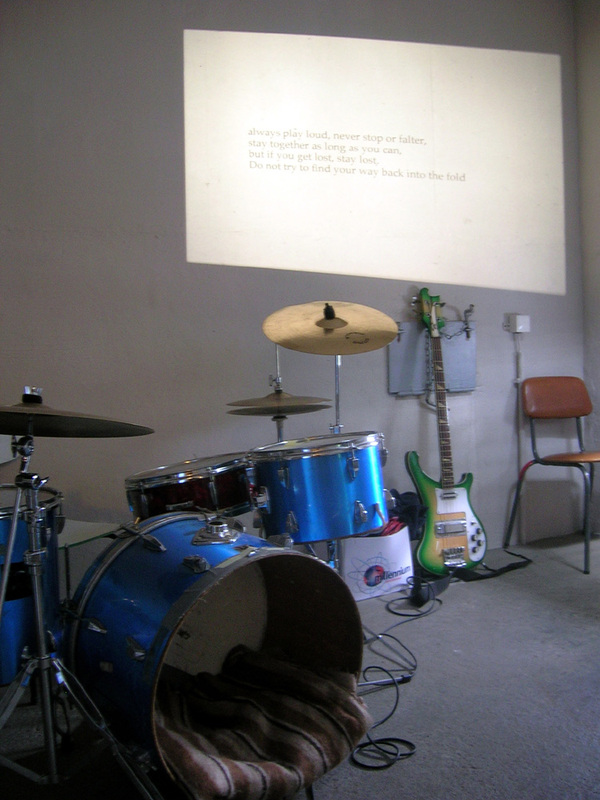 The installation featured a canvas banner/painting depicting the notes for the piece, a visual aid for the musicians. 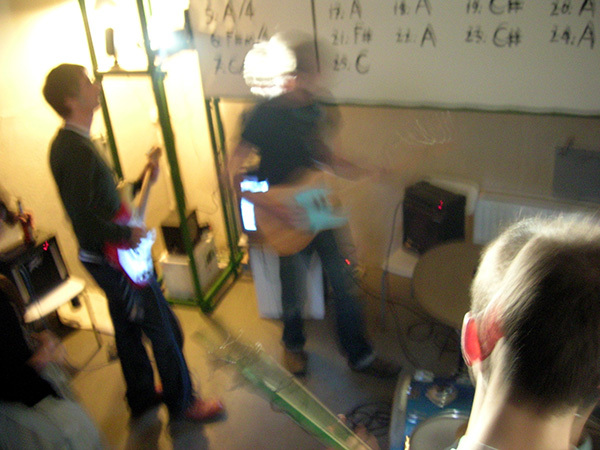 A dvd film showed stills taken during a practise session by the band. The series of stills was edited in a fashion in accordance with the additive melodic device ie. still#1, still #1-still #2, still #1-still #2-still #3, etc. This was accompanied post-opening by a recording of the performance. 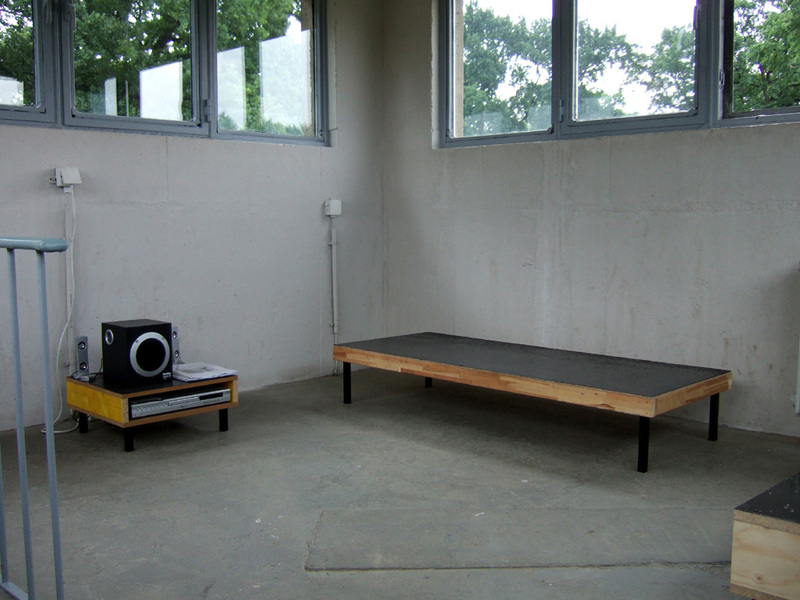 The exhibition also housed a small info lounge comprising of seating, readers of compiled texts and playbacks of radio programmes about The Beach Boys and Frederic Rzewski.